A new study on LGBTQ weddings, released earlier this month from The Knot, finds that spending on weddings has almost doubled since last year’s historic Supreme Court ruling. Popular wedding website The Knot shared the its fourth annual LGBTQ wedding study and it’s filled with all kinds of fascinating facts on how our community gets married in 2016. For starters, The Knot found, “Men spend an average of $33,822 on their weddings, compared with $25,334 for women. Prior to legalization, the average cost was $18,242 for male couples and $16,218 for females in 2015.” Also, when it comes to traditional weddings LGBTQ are surprisingly in favor of keeping it old school. 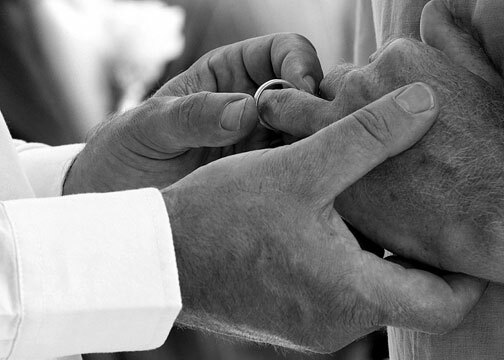 “One-third of LGBTQ couples report deciding which wedding traditions to uphold was ‘challenging'”, The Knot says. “But 65 percent of men and 70 percent of women say their wedding will fall under the ‘traditional’ category.” Lastly, the study found that couples preferred to get married in the fall over the spring or summer. “September and October are the most popular months to get married for men, while a combined 32 percent of women prefer August or October,” according to the Knot. 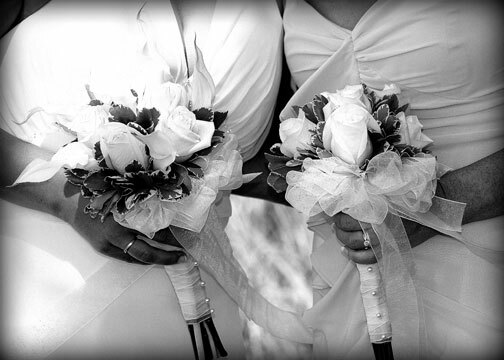 The study also found nearly half LGBTQ couples consider their wedding a destination affair. Before you scoot off to a destination wedding, pick up one of our beautiful cards to celebrate the happy couple! Proudly Yours wants to help too. By donating a portion of our online card sales, everybody wins. 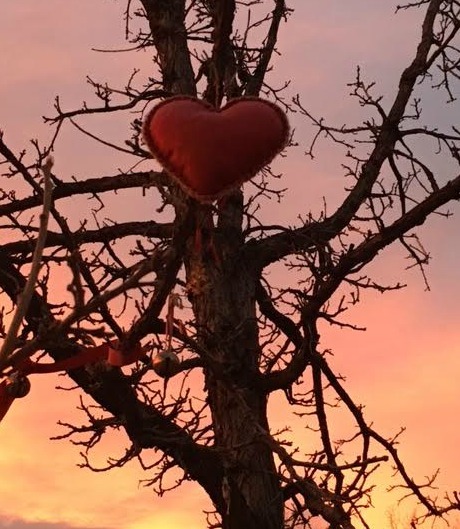 This way, you get a beautiful greeting card guaranteed to make someone feel better and you get to feel good to helping out in a time of need. Sounds pretty terrific, right? All of our greeting cards feature gorgeous black and white photography with the perfect quote about love on the inside. Our cards are perfect for summer weddings, engagements or anniversaries. Or maybe just pick up a card to tell someone you love that you’re thinking of them and who doesn’t need that right now? From counselling and travel assistance for the victims loved ones to legal services and memorials, Equality Florida has hopped into action to help the LGBTQ community in the wake of this staggering tragedy. So let’s help them do all they can. All of our cards can be bought online here & here! And do it before June 30th. According to legend, noted physicist Albert Einstein didn’t exactly love birthdays. Yet we can’t help celebrating the man whose words and ideas shaped a generation. 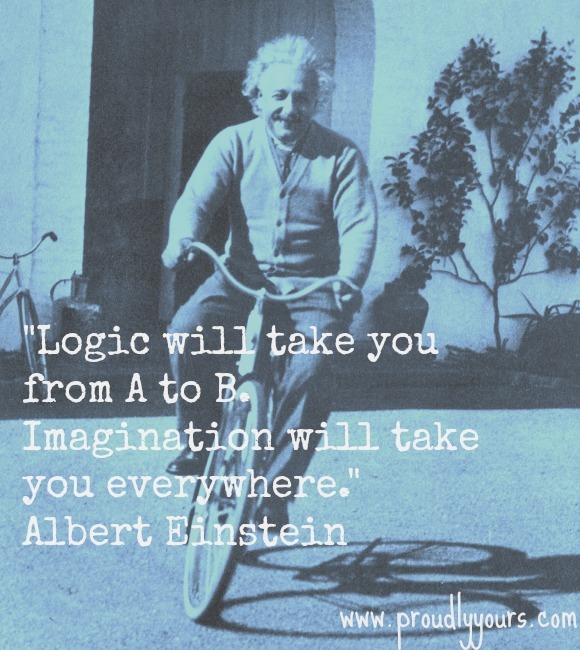 Born today in 1879, Einstein’s playful spirit and brilliant thoughts live on, thanks largely in part to the internet. Revel in his legacy today by reading some of his most famous quotes, learning about his childhood or send one of our cards to someone you know who isn’t crazy about birthdays. Must be the season of love because our amazing customers leave us all kinds of lovely comments! Check out what they have to say below and if you’ve bought one of our cards, tell us all about it in the comments section. Happy Valentine’s Day! Celebrate Valentine’s Day With Proudly Yours! Don’t panic. You still have 5 days until Valentine’s day. That’s plenty of time to buy one of our beautiful cards. Buy one (or a couple!) at these terrific stores or order them online. 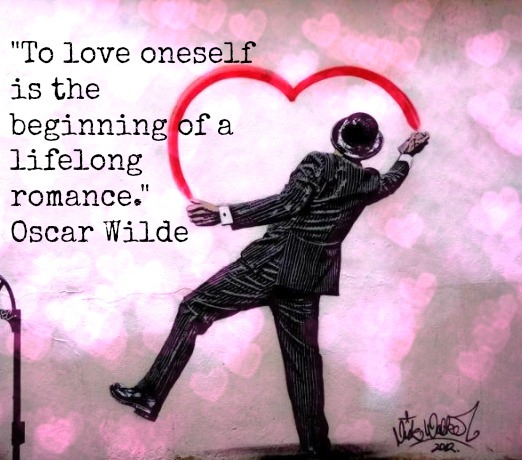 Also, for more Valentine’s Day inspiration, visit us on Instagram. 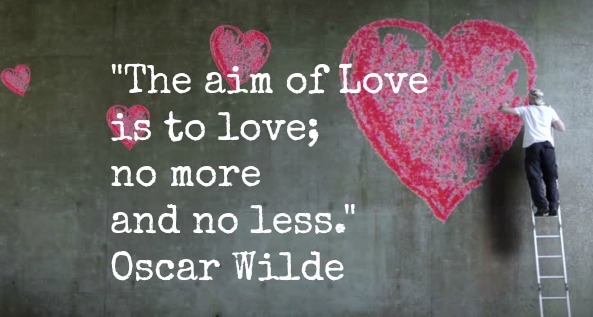 We love quotes about love. 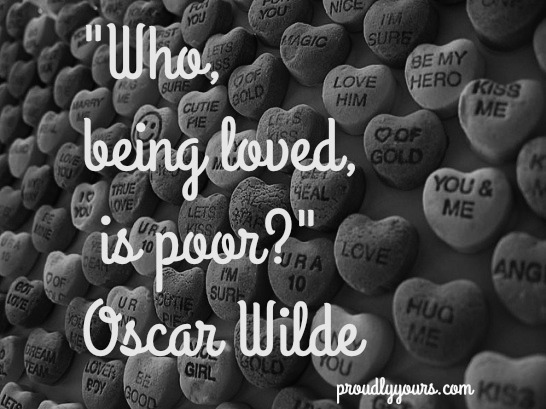 We love Oscar Wilde and we love Valentine’s Day! Hence our #WildeHearts hashtag was born. 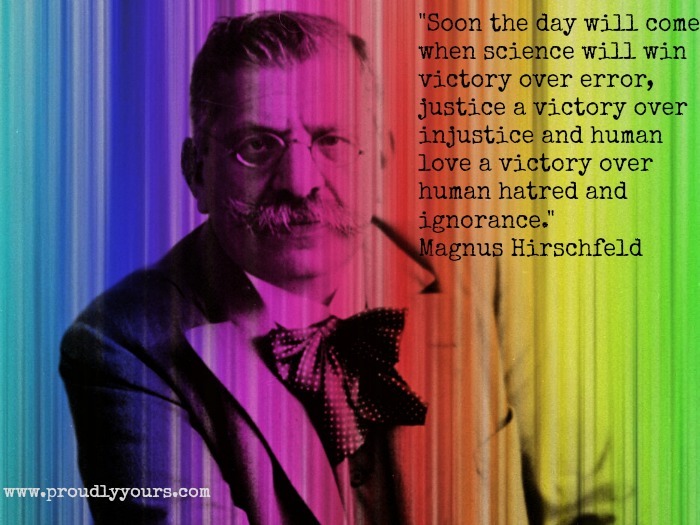 The hashtag celebrates the world’s most quotable gay author and our favorite holiday. While you’re there, be sure to check out a collection of Monday Memes and images from our cards. So what’s it gonna be for YOUR Valentine’s Day? Did you score reservations at a hip restaurant? Seeing a new play or movie? Or whipping up a culinary masterpiece at home? Tell us all about it in the comments section below! Need a cool stamp to put on one of our cards? The United Nations Postal Administration has just the thing! 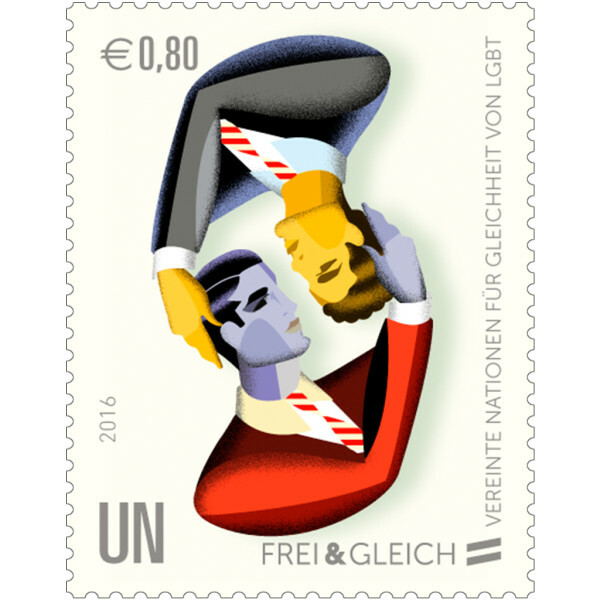 The agency has recently released six new postage stamps promoting LGBT rights. These colorful stamps created by UNPA art director Sergio Baradat are “meant to celebrate the diversity of the gay community and marks the first time the global body’s post office has issued stamps with an LGBT theme” according to The Guardian. The stamps were unveiled at the UN general assembly building in New York City. The ceremony featured a performance by the Gay Men’s Chorus of New York and speeches by UN officials. While acknowledging the advancements made by the LGBT community, speakers noted that there is still more work to be done as hate crimes are still common and the c homosexuality is still criminalized in certain countries. “We need to change attitudes to one of acceptance,” said Stephen Cutts, UN assistant secretary-general. The stamps are available to purchase here. Whether you’re planning a romantic dinner at home, breakfast in bed or a dazzling night on the town, the time is now to start thinking about Valentine’s Day. The holiday is in just 12 days and we have you covered when it comes to great ideas for cards for your special someone. Each Proudly Yours card is printed on a high quality cardstock with gorgeous black and white photography and quote about love inside. With no predictable images of hearts and flowers or rambling bad poetry, our cards are perfect for the Valentine that wants to say whatever it wants to whoever it wants! Here’s 5 of our favorite cards fabulous for Valentine’s Day or any day. Get these and all of our cards online or at a fine retailer near you!